Enjoy this superfruit anti-oxidant rich creme that contains age defying peptides and skin conditioning agents. Recommended for most skin types, this lightweight moisturizer helps to firm the dermal layers, stimulate collagen synthesis and boost resilience. After cleansing, toning, and serum apply a small amount to face and neck and massage in gently. 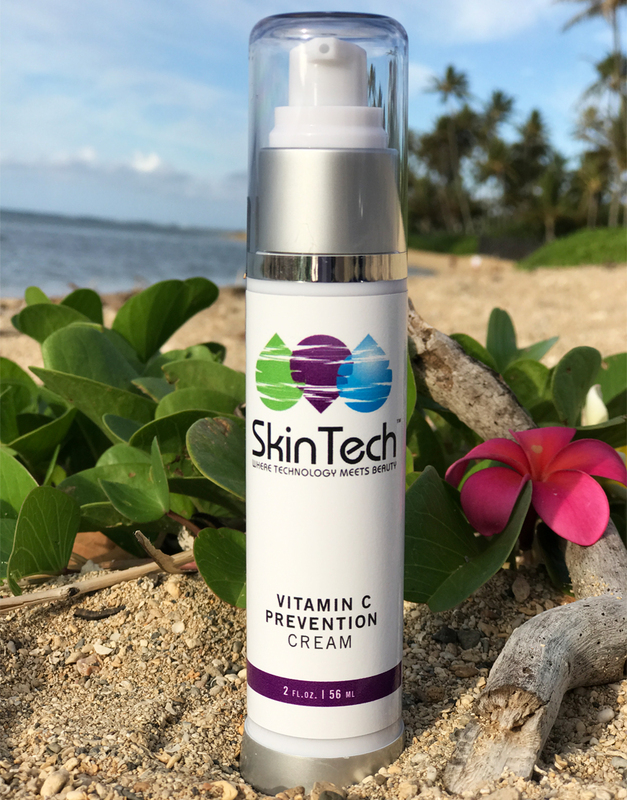 • Kakadu Plum Extract - provides powerful antioxidant/free radical scavenging support and protection from the effects of UV exposure. Has the highest naturally occurring vitamin C content of any fruit. It contains 3000mg of vitaminC per 100g of fruit - over 50 times the concentration found in oranges. The Kakadu contains phytochemicals gallic and ellagic acids. Gallic acid has antibacterial, antiviral and antifungal activities and also shows antiinﬂammatory, anti-tumour, anti-mutagenic and anti- bronchodilatory activities. • Fision Instant Lift - boosts elasticity, firmness and radiance. Instantly improves skin firmness, noticeably more elastic & tighter skin, reduces appearance of wrinkles & smoothes skin, immediately revitalizes for younger looking skin. Fision™ Instant Lift is a natural, non-GMO solution for immediate skin firming to minimize the appearance of wrinkles and fine lines. This easy to use, water soluble product creates a light-weight film that tightens as water evaporates to lift the skin. Image analysis reveals striking reductions in wrinkle depth, other clinical testing confirms improvements in elasticity. • Corum Peptide 8813 - a lipopeptide that stimulates collagen and glycosaminoglycan synthesis and strengthens connective tissue. Peptides are miniature fragments of skin protein; they are messengers that signal the dermis to synthesize the material necessary for the skin. Corum 8813 contains three amino acids. It initiates the stimulation of collagen and glycosaminoglycan synthesis and strengthens the connective tissue. It helps the skin retain its natural firmness.